Chapter 8a. How Much does this cost? Chapter 8b. What percentage does Villa Secrets take from each deal made? Chapter 8c. How much will the Manager &/or Owner Make? Chapter 8f. 3rd Party Tour Operator Commissions. This chapter is not about property management as such, rather it is created for property managers and property owners to make residual income from booking other properties, either when they are full or to create a multi leg option. 1. Particularly for top of the range villas, exclusive use safaris, and private islands, bookings lost to tour operators who can offer an all in one service. 2. Despite receiving as many as 25 solid enquiries for peak times of the year, a property owner can only rent out their property once. 3. Some great booking opportunities are lost due to property managers or owners’ villas being deemed unsuitable; for example, it’s not children friendly. • We create the websites and systems that enable property managers and villa owners to make bookings for other properties. 1. Can double the net income for exceptional villas, exclusive use safaris, and private islands. 2. Can make property managers amongst the top 1% of US earners (or the top 0.1% of African Earners). 3. Makes the process of booking other properties simple and profitable. 4. Can increase occupation of the existing in low season. 5. Lessens dependency of big tour operators. First things first, and that is that we need to protect the Villa Secrets companies who recruit mandates, and because we are not offering a service for villa owners or property managers to add their villas directly. As without the villa companies and their concierge and hospitality departments, there would be no difference to Airbnb, HomeAway and every other VRBO (Vacation Rental by Owner) website out there. 1. Owners and managers who wish to complement their property with others to create a tailored holiday option for their clients. 2. Owners and managers who wish to make money from their overflow, by booking other villas when their property is either booked or otherwise unsuitable. 3. Active villa owners may know other villa owners who would likely give them the sole rental mandates if they had the website, systems, marketing, networking, concierge, and infrastructure that Villa Secrets can provide. In each case, the initial step is to create the property manager or owner their own S-Web websites with their own domain. The website created will be similar to www.VillaSecres.com, from which they can pick and choose which properties and services they would wish to display. 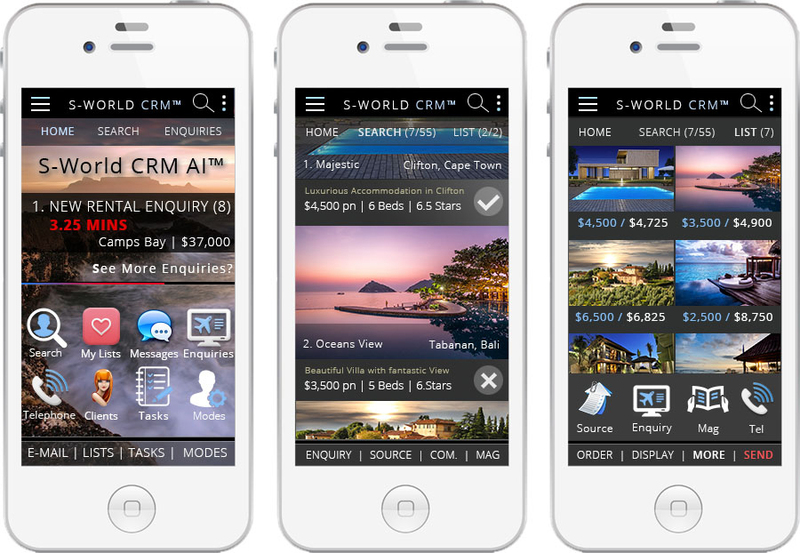 Where after, when a booking request comes in that they cannot book, as their villa is full or otherwise unsuitable, the manager or owner simply uses the ‘super simple’ S-World CRM-Nudge Ai™ to present their clients with the options they wish. And as we saw in the S-World CRM-Nudge Ai™ chapter, this process is dead simple, takes only a minute or two, and creates both an online magazine-styled webpage for the client, such as www.YourWebiste.com/CleintsName; and a beautiful email to match, presenting villa/safari/private island suggestions, and some useful and enticing articles from the online magazine. In some cases, if the managers and owners wished to get a head start and get going straight away, we would give them access to Villa Secrets itself; from which they make all the same bookings under the same terms, until their website is ready. We bring up the question of ‘How Much does this cost?’ early in the conversation as this is a big plus point, as there is no cost. We consider deals with qualifying property managers and owners in the category of ‘Mergers’ as the manager/owner already receives enquiries that can be used to generate bookings, and we see value in this. 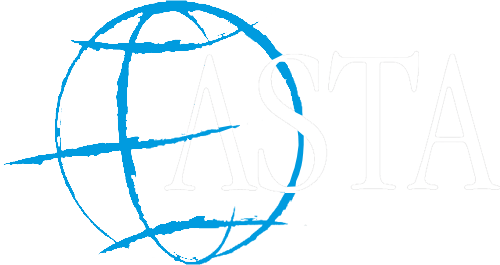 And so, we are more than happy to bear the initial cost of creating the website and pay for all hosting and technical support on an ongoing basis, as we are sure to make the money back from the bookings that are created. Again, we bring this up early, as our solution offers at least twice the value offered by most villa or safari agencies, who typically offer a 50/50 commission split for a serviced property rental. The first point we should make is that, unlike most agency agreements, we are not the middle man. Yes, Villa Secrets will have different companies representing it across Africa, but owners and agents do not deal directly with those companies. Instead, managers and owners pay only a technology and networking contribution to Villa Secrets Ltd UK (The Holding Company) of 12.5% of the commission. Plus 12.5% of the commission goes to the dedicated concierge and hospitality, 24/7 live chat, and logistics call centre; which is an essential expense that any platinum or diamond villa would not only be happy to pay. Indeed, they would not wish to do business in the first place if this department was not a key feature within the Villa Secrets ranks. And as for the 12.5% to hospitality and concierge, we will get to this essential component shortly. The total cost is 25% of the total commission made from the deal. Now, we don’t have a crystal ball and there are several variables in play. But we can show you the math and strategy for a typical booking scenario; and after, show that if 2 good bookings were made each month, then it’s almost possible for the villa owner to double their net profit before tax and the manager to generate a bonus that would put them in the top 1 % of Africa’s earners. For this example, we consider a client, representing a group of 7, is interested in a two-week African vacation; where budget is not as important as the experience, i.e. they have lots of money and want the best. And they have come to the manager and owner’s website, and the venue is available. But experience tells us that the clients may well end up booking through a tour operator, as they want a professional itinerary and a one stop shop for booking the land arrangements. And further to that, they know that if the client goes to a travel agent or tour operator who has a better relationship (or better STO) with an equal competitor, the booking may be lost all together. And so, after talking to the client about their property, in part to make sure they don’t lose the booking, and in part as there is ‘gold in them there hills’ (money to be made by booking the other land arrangements); the manager or owner politely asks if the client would like to see their recommended partners in Africa, and the client agrees. A few questions are asked about the client’s ideal experience and which locations they are particularly keen on. The manager adds the info into the S-World CRM-Nudge Ai ™ and sends the client a link to their unique website (which from now on we shall call AfricanSophistication.com), so the link would be www.AfricanSophistication.com/Mr-Forrest; from which the client can create subpages such as www.AfricanSophistication.com/Mr-Forrest/MyPartner or My Boss and seek a group consensus. This whole process also mirrored in email format. A two-week holiday in 4 legs: Safari / A Safari Villa / Private Island / Cape Town Villa, in which the client stayed in the manager and owner’s venue for 4 nights, and the clients stay 10 nights in venues provided by the manager. If the average price per night was $10,000, then $100,000 is the holiday cost for the 10 nights. If the commission was 25%, the manager or owner would receive $25,000; from which Villa Secrets receives 25% – $6,250, and the manager & owner net $18,750 in residual income and $40,000 directly, or $30,000 if booked by an agent at 25%; in which case, for every two-residual bookings they make similar to the example above, they make more than a single direct booking. Next, we consider the exact same scenario, but this time we consider a repeat client of the manager and owner’s wants to return. But there is no availability for their dates and they can’t move their dates. But as the guest obviously trusts the venue as they have returned, they would be more than happy if the venue they trust can give them some recommendations on alternate properties. This time the commission is higher as its 14 nights not 10, and the manager and owner make $26,250. Whilst it is up to the owner and manager how they remunerate this money, we have found 20% to be fair in the past. Albeit as there is almost no expenses for this income, a 50/50 would also be fair if split between the management and reservations team and the owner. Looking specifically at the 20% model, I have created the scenario in Game Theory, the tool of choice for business strategists and economists. The above game works on the previous figures, and that 2 such bookings are made each month. And the result for the owner is an additional $504,000 and the manager makes an additional $126,000 which is just shy of two thirds of the salary that gets paid the British Prime Minster, so not bad as an extra income. And in the scenario below, we see that of the $504,000, if the venue was making $1,500,000 a year and of that turnover 35% was left as net profit before tax, the owner will be just shy of doubling their profit. So, that’s pretty good too. A cautionary note, while we really can’t say how much an owner and manager would make without knowing how many enquires they had, we would suggest that these are figures to build to in 2020; when the network is fully international and diverse, in that it offers properties for sale and all forms of luxury travel, and the manager and owner’s website has started generating bookings directly from some content and video marketing. This section is about the commission we generally receive from luxury African properties. This can range from 15% to more than 40%. In most cases, we are seeking for a 25% commission from the most luxurious venues. However, we wish to go further and create a very exclusive club, made up exclusively between companies who are using this system and have a $10,000,000 plus property. Chapter 8g. What does Villa Secrets provide for its 25%? Before getting to the specifics of what Villa Secrets does for its income, we know that 25% is better than the standard ‘split in commission,’ or less than 50% that one would receive in a partnership with say Rhino Africa. Typically, 12.5% is spent on web and software development; making sure our superior systems stay superior. And 12.5% is spent on the ‘Famous Concierge,’ helping to make sure clients have the experience they wanted, with a suitable safety net in place to handle almost every emergency, from missed flights to legal assistance. In addition, this technology is being developed for our ‘safari system’ for safari venues, but with the exception that the S-World safari company ‘Experience Africa’ gives back. Experience Africa is a non-profit that has plans to make tens, then hundreds, then thousands of websites and companies. Of which, 50% of all turnover is bound for the protection of elephants, rhinos, & cheetahs which we deeply hope will, in time, be assisted by elephant and ripple effects fan Paul G Allen, the co-founder of Microsoft. So, not only is one creating significant residual income; at the exact same time, one is helping to fund the project that seeks to become the most ambitious African consideration initiative of all time. The potential is ridiculously high, consider 2000 safaris (about 40% of them) all contributing 12.5% of turnover, and add our plans to create a next generation booking and software for the actual safaris themselves; on a plan that only takes a commission when turnover is more than was expected. And this initiative can make more money for the fight against the ivory poachers than is contributed from all other sources. We need to complete the Villa Secrets system and make a few modifications for it to work with safaris and off we go. Of course, it will be great to get Microsoft on bard from a technical perspective. With technology partners like Microsoft and Facebook, this project has a better than average chance of fulling its mighty ambition. Mixed into the 12.5% contribution is the growth of the network internationally, which has many benefits. For instance, if a client wished a Private Island holiday or wedding, they would not necessarily be looking for an Island in Africa. And as such, private islands can book other private islands across the globe. One can now see the ‘ Famous Concierge’ in the Angel Theory – Paradigm Shift presentation. The second 12.5% is for hospitality, concierge, logistics, and 24/7 live chat and call centre services. Our founding company, Cape Villas.com, has been in partnership with arguably the world’s leading concierge company ‘Quintessentially’ for over 10 years; albeit our partnership has been quiet of late as we have focused on development. But you can be sure we will be reigniting that relationship when the time is right. Later, we present an entire chapter on the concierge and media department. But to sum up, we are creating the ‘Famous Concierge’ by twinning the concierge and hospitality with the media and video departments; who, in season, mostly work with clients; and through the lower season work mostly on media and video. And because of this and that we can offer time off for auditions and shoots, we can recruit and motivate a proper concierge team; who really do know where it’s at, who surf, enjoy Cape Town, and climb mountains regularly and are more than happy to have guests join them on the journey. Some restaurants in Los Angeles only accept reservations certain times during the month, and the best of the best are usually full months in advance — unless you know somebody. Now you do. Whilst there are fewer restaurants booked up months in advance in Cape Town, the effort required to get such a restaurant to make plans take a very charismatic and very locally famous person. And so, we recruit accordingly, with attractive looks, charisma, and confidence as a prerequisite. Such people don’t only know how to get the reservation, but also the best tables. They know where the private villa events are, and they are invited to yacht expeditions and all sorts of events; which special clients will be invited to, should they wish. Of course, it’s not just one big party, we need stability and strong logistical support. But the commander’s intent is to make Villa Secrets synonyms with beauty and glamour; and, at the same time, create a huge amount of broadcast quality films and video. Of course, if one is booking a safari or private island, there is no need for concierge. We shall only set up office in popular locations such as Cape Town, Seychelles, Mauritius, and locations that we have a lot of partners. However, the logistics, 24/7 Live Chat, and call centre in different languages is a huge support; in case the guest needs assistance at any time, and in particular for the ‘missed flight’ emergency. This assistance helped mightily by the systems we are creating for this service. Chapter 2b. Why Realty First? Chapter 2e. Licensee or Licensor? Chapter 5k. How the email will look?